Caffeine is a quirky psychological horror adventure game with an atmosphere heavily inspired by games like Condemned, FEAR and Outlast. Set in the near future, the entire population of Earth is vigorously addicted to coffee. Once Earth’s caffeine reserves are depleted, the largest of the corporations build massive lumbering space ships with the sole purpose of seeking out the minerals needed to synthesize artificial caffeine. You awaken aboard one of these caffeine mining ships alone. Before long you realize that you are a young boy with no memory of what has transpired on this seemingly empty space station. Naturally you set out to explore the depths of the huge structure to figure out what exactly is going on. Each character you discover in Caffeine has a rich and detailed back story, giving the empty structure an eerie “lived in” feeling. To accompany the eerie visuals Caffeine offers, the sound is being prepared by two amazing professionals. Composer Adam Klingman and Sound Designer Jonathan Wachoru provide an amazing sense of immersion and chills. Caffeine is currently already in development utilizing the power of Unreal Engine 4, which allows for a very high visual fidelity and cross platform development, supporting PC, Mac, Linux, Xbox One and PS4. How Will The Game Play? 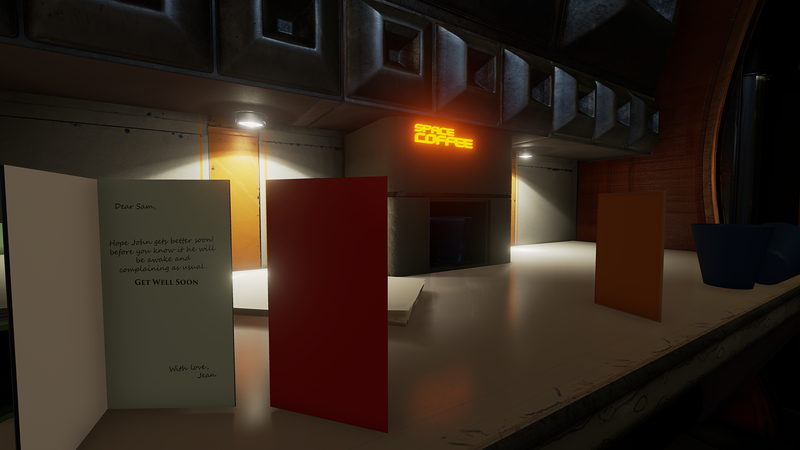 At its core Caffeine is an exploratory first-person puzzle game with a strong focus on psychological horror and lore. 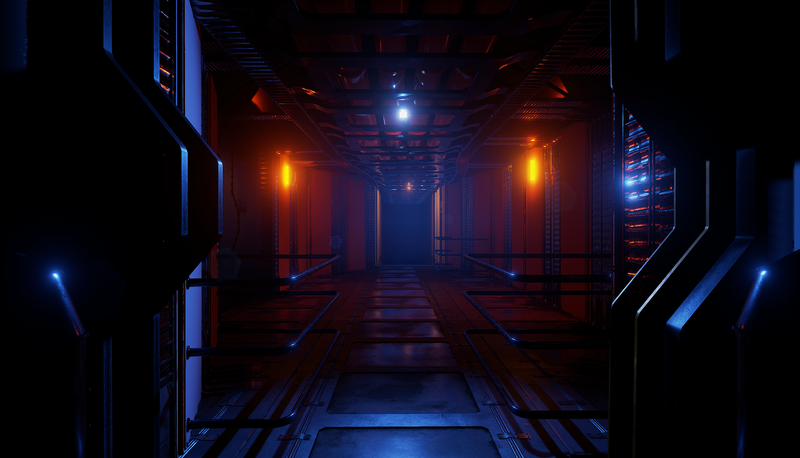 Horror – You are alone in a mysteriously empty space station. Who knows what’s out there! Lore – Sticky notes, audio logs, whiteboards etc. This place feels lived in with each character having a rich back-story that can be deciphered from just walking into an office or quarters. Puzzles – interesting environmental and memory based puzzles. Console Releases – Coming to two major consoles in the future. OSVR, Oculus Rift & Steam VR Supported – Allowing for ultimate immersion & interaction with the world of Caffeine. UHD support – Support for a wide range of resolutions including 4K, 8K with the additions of alternative aspect ratios like 21:9. When Will The Game Be Out? Caffeine Episode One is currently available for Windows, Linux and Mac. Try out the Caffeine Pre-Release Demo, which gives you a look at the atmospheric visual style of the game. Part of the space station to explore.